Al-Ahlia Heavy Vehicles Selling & Import Co, the exclusive importer of MAN Truck & Bus in Kuwait, inaugurated today the newest facility for MAN trucks in the Middle East located in the heart of the commercial business district of Kuwait, covering an area of over 16,000 square meters. 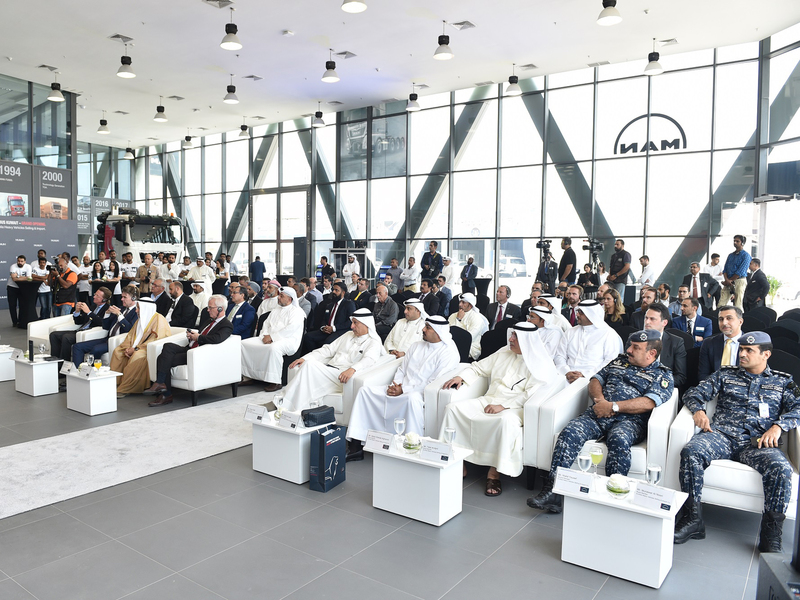 The opening was attended by Ali Mohammed Thunyan Alghanim – Chairman of Kuwait Chamber of Commerce and Industry, Joachim Drees - CEO of MAN Truck & Bus AG, the leading German commercial vehicles manufacturer, Rüdiger Zettel – Deputy Head of the German Embassy in Kuwait, Eng. Fahad Ali Alghanim – Vice Chairman of Al Ahlia Heavy Vehicles Selling & Import Co., Franz von Redwitz – Managing Director of MAN Truck & Bus Middle East, Board of Directors of Al Ahlia Heavy Vehicles Selling & Import Co. and more than 100 VIP customers. The new showroom and service centre seeks to reinforce MAN’s leadership vision in Kuwait’s commercial vehicles industry. The 4,000sqm workshop, 1,750sqm parts warehouse and 6,000sqm storage facility for trucks will ensure that customers get top-notch service and that a much wider range of genuine spare parts are immediately available. “We have always been particular about not only delivering high-quality products to our customers, but also ensuring excellent after-sales support. Our significant investment in the new facility is the outcome of our unshakeable commitment to offering our valued customers increased convenience and unlimited access to world-class products and solutions. 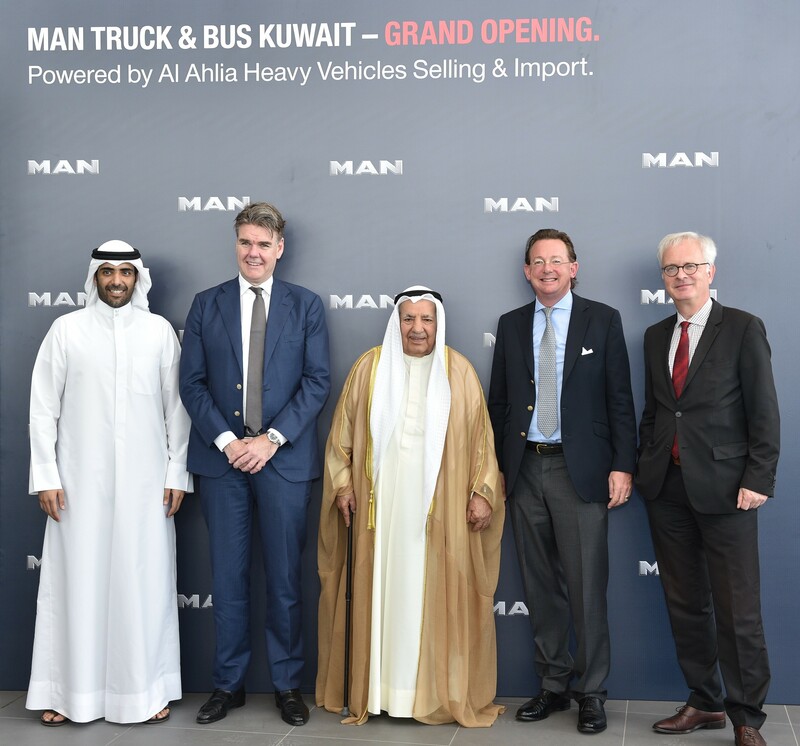 We thank MAN Truck & Bus Middle East for its support and look forward to further strengthening our partnership to transform the commercial vehicle sector in Kuwait,” Alghanim continued. The facility includes a service advisory reception, where customers can inquire about different products and services, such as ProfiDrive, MAN genuine spare parts, and MAN service quality, a multilevel spare parts warehouse and workshop, among others. It offers exceptional experience with internal and external areas of the workshop that are fully aligned with MAN corporate identity. It also boasts a purpose-built training centre to further improve the company’s provision of training towards enhancing the quality of services and customer experience.